We are here to take excellent care of all your floral and plant needs.....we get in the freshest of flowers daily....if you have a special request please let us know and we will be happy to take care of your order!! We have the most Awesome & gorgeous floral designs waiting for your personal selection! 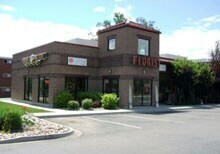 Come in or Call ahead & we can have your floral selection ready. Delicious chocolates that are Out of this World delicious ! Agate hand designed bracelets with charms designed by a local artist...great gifts!! Hand made greeting cards from local artists in Broomfield, Colorado...fun & one of a kind! We carry special flowers from Hawaii and other tropicals....orchids, birds of paradise, ginger and so much more!! We try to have them on a daily basis but is best to call & order a few days ahead to assure we have exactly what you want! We are happy to order any flowers you are looking for. We have our own talented designers on site to custom design your floral bouquets everyday!! Stop in & walk in our large cooler TODAY!! We specialize in wedding flowers. We listen to what you have been dreaming of on your wedding day! We can make suggestions on what is in season & what colors will match your bridesmaids dresses. 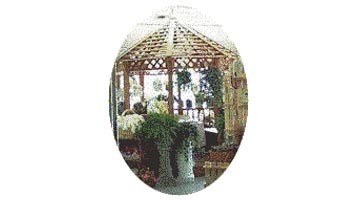 We work with Rundus Funeral Home on your special flowers you want for your loved one. We also work with In Memoriam Funeral Services. Family owned and operated since 1972. Award winning designers. We specialize in high-style contemporary, tropical designs. We carry fresh orchids and plants direct from Hawaii. Both Dennis & Sue have lived in Broomfield since 1960 ! Rocky Mountain Unit of Teleflora. gift items....we always welcome new ideas! Supporting our community is our top priority ! We are 1 building North of Chippers Bowling Alley off Nickel St.
We welcome any special requests for varieties and colors of flowers, please give us a 5 day notice so we can order them in from the grower. a very warm and relaxing atmosphere to do your shopping! To help assure on-time delivery during the busy holiday season, place your order at least one day prior to the following major holidays: Special Holiday Hours, call shop for details. Thanksgiving Day, Christmas Day, New Year's Day, Valentine's Day, Easter, Administrative Professionals Week, Mother's Day, Memorial Day, Father's Day, Independence Day and Labor Day. Our shop will always be closed on the following holidays: Thanksgiving Day, Christmas Day, New Year''s Day, Easter, Memorial Day Father''s Day, Independence Day and Labor Day. Our commitment to you is 100% satisfaction on all your floral and gift purchases. If you are not completely satisfied, let us know by calling (303) 466-1251. Our shop serves the following areas:Broomfield, Westminster, Arvada, Northglenn, Thornton, Erie, Louisville, Lafayette and Superior. Westminster, Northglenn and Thornton $10.00 delivery fee. fresh florals in a ncie keepsake potttery or glass, BEAUTIFUL!! Funeral designs. We work with Rundus Funeral Home. If you have any questions or need more information, please contact directly at 303-466-1251. We're always here to serve you and make your flower-sending experience a pleasure. our messages frequently and especially on Sundays. No job too small or too big, we can do it all ! We deliver to Businesses and Hospitals in Boulder, Louisville, Lafayette, Northglenn, Westminster and Thornton. Delivery of orders to rural route addresses or cemeteries cannot be guaranteed. If this is the only address you have for rural route addresses we must have the recipients phone# to call for directions. Interrnational orders if you call our shop directly. We are unable to accept international orders over the Internet. Prices are subject to change without notice due to time of year. Occasionally, substitutions may be necessary to create your bouquet due to the availability of certain flowers in various parts of the country. Care is taken to maintain the style, theme and color scheme of the arrangement, using flowers of equal value. Additionally, the substitution of certain keepsake items may be necessary due to increased demand, especially during major holidays. In single-flower arrangements, such as an all rose bouquet, or orchids, we will make every attempt to match the flower type, but may substitute with another color.